Research Interests Energy economics, energy security, environmental analysis of fossil fuel use, energy trade, oil and gas markets, and energy economy of China. Kang testified before the U.S.-China Economic and Security Review Commission on Capitol Hill in Washington, D.C. on the impact of China’s energy sector and market developments on the rest of the world. 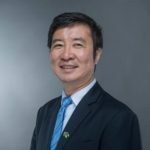 He is the author and co-author of numerous company studies, journal articles, research papers, project reports, books, chapters and other publications. The supply growth of natural gas liquids (NGLs) globally within the last decade is unprecedented. The future global demand growth for NGLs is expected to be strong in areas where relevant industries are garnering robust investment and policymakers support the use of NGLs. However, NGLs are hostage to the fate of natural gas markets, as their production is largely tied to the future production of natural gas. Competition from cheaper coal, calls to rein in carbon emissions from fossil energy, and the rapidly declining costs of renewable technologies imply that natural gas has to fight for its place in the future fuel mix. NGLs may present a silver lining to the future of natural gas, given their close links. The power sector is usually considered the principal driver of future demand growth. 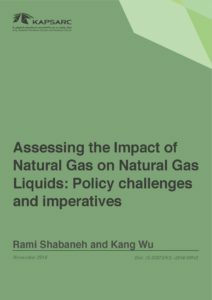 However, natural gas is likely to have a bigger role to play in future, given the essential role of NGLs in displacing polluting fuels for cooking and heating, as a feedstock for petrochemical plants that produce thousands of consumer goods. 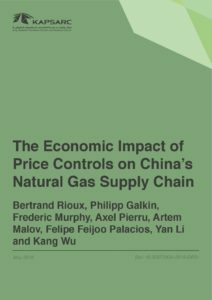 Despite significant progress made by China in liberalizing its natural gas market, certain key areas such as market access and pricing mechanisms remain heavily monopolized or controlled by the government. To assess how such distortions impact the market, we developed a Mixed Complementarity Problem model of China’s natural gas supply industry, calibrated to 2015 data. Center for Strategic and International Studies (CSIS), Washington, D.C.
in China’s Energy Needs and Strategies: Hearing before the U.S.-China Economic and Security Review Commission, October 30, 2003, Washington, D.C. Managing Asia Pacific’s Energy Dependence on the Middle East: Is There a Role for Central Asia?